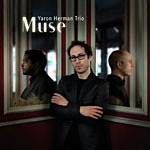 Muse is Yaron Herman's fourth album and with it the Israeli-born/French-based pianist continues his steady progress towards a mature post-Keith Jarrett, post-Brad Mehldau style and the certainty of world ranking. 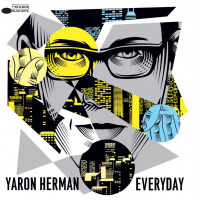 Still in his late twenties, Herman set out his stall with the piano/drums duo album Takes 2 To Know 1 (Sketch, 2005), which was followed by a solo set, Variations (Laborie Records, 2006), and most recently a trio plus electronica album, A Time For Everything (Laborie Records, 2007). The new album, another trio outing, has the same personnel as its predecessorHerman, bassist Matt Brewer and drummer Gerald Cleaverbut without an electronicist. On the evidence of Muse, Herman's time can't be long in coming, if indeed it isn't immediately around the very next corner. The influence of Jarrett and Mehldau can still be heard, but is now more diffuse. To it can be added another resonance, Esbjorn Svensson. For along with his intense, emotionally nuanced lyricism, Herman can turn out phrases and motifs as emphatic and percussive as the late pianist's. And he does so on Muse, unaided by the electronic boosters used by the Swede. There are moments on the more passionate and fiery tracks, which make up about half of the set, when it could almost be Svensson playing, unplugged. But there's a difference. Svensson's powerfully emotional performances seemed at times to be pre-scripted, turned on and off with deliberation. Herman's passion is unlike that; it feels more organic, more in-the-moment. In contrast to A Time For Everything, with its dollop of covers from Björk, Sting, Leonard Cohen, Britney Spears and the American songbook, Muse focuses on Herman and Brewer's writing. There are just two familiar covers, Dizzy Gillespie's "Con Alma" and Björk's "Isobel," plus one lesser-known tune each from songwriters Alexander Argov and Naomi Shemer. Argov's Middle East-inflected "Lamidbar" and Herman's "Vertigo," which are grouped one after the other, are among the highpoints of the albumurgent, visceral and giddifying. 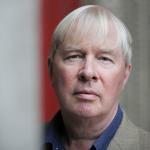 Herman includes a string quartet on three tracks to rewarding effect. At just over three minutes, the opening title track is a brief but substantial classical piece; rhapsodic and suggesting something eventful to come. The strings are assertive and foregrounded. They are less so on "Isobel," where Cleaver's "tribal" drumbeats, reiterated throughout, provide the engine. On the haunting "Rina Balle," which closes, they morph winningly between background and foreground. Track Listing: Muse; Con Alma; Vertigo; Lamidbar; Perpetua; Isobel; Joya; Lu Yehi; Twins; And The Rain; Rina Balle. 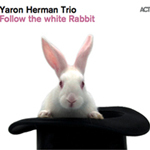 Personnel: Yaron Herman: piano; Matt Brewer: bass (1-7, 9-11); Gerald Cleaver: drums (2-7, 9-11); Quatuor Ebene String Quartet (1, 6, 11).